Who knew you could fit so much fun and adventure into just one day?! We picked Nana and Poppa up from the airport after their early morning flight from Auckland, and swung by Ferg's bakery for coffees and boston cream donuts on our way back to our wee abode for our stay. We could feel the gondola so near yet so far away on the hill calling to us. Soon we said. Soon. First we had to whizz back to the house to drop off Nana and Poppa's gear and make our plans for the day. Allowing Nana & Poppa time to marvel at the amazing views just as we had only hours before. And then it was time for the adventures to begin. Up up and away with the most glorious of scenery just out of reach. 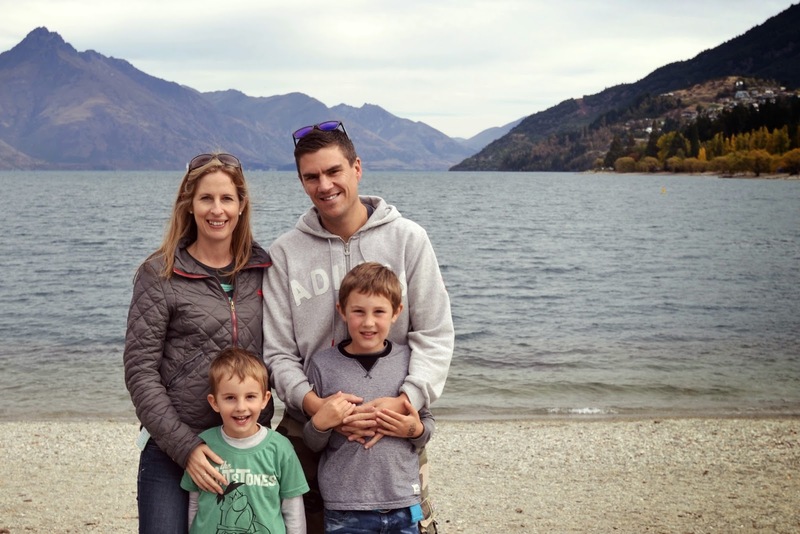 Before coming to Queenstown, we'd cashed in some Flybuys to get a deal with family passes on the gondola plus 10 luge rides which turned out to be a great plan. 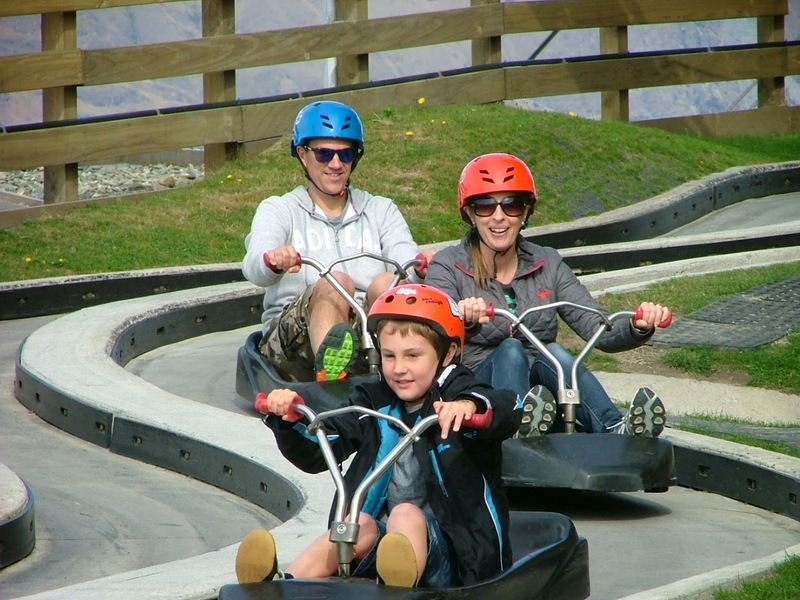 There were thee of us who were uber-excited about the prospect of the luge rides, but the little one not so much. I must admit as excited as I was, I was also a little nervous about the luge riding. 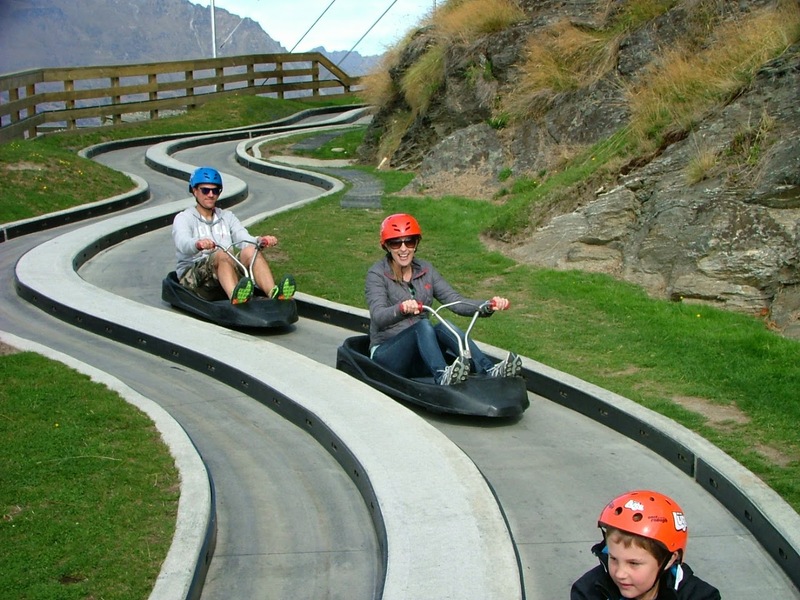 I'd only ever ridden the luge once in Rotorua when I was 14, and can't recall that I enjoyed the experience very much. However, that was before my days of driving a car, riding a snowboard, and doing a bungy jump. I think I've come a wee way since then. Noah on the other hand took the whole experience in his stride. Loving it. 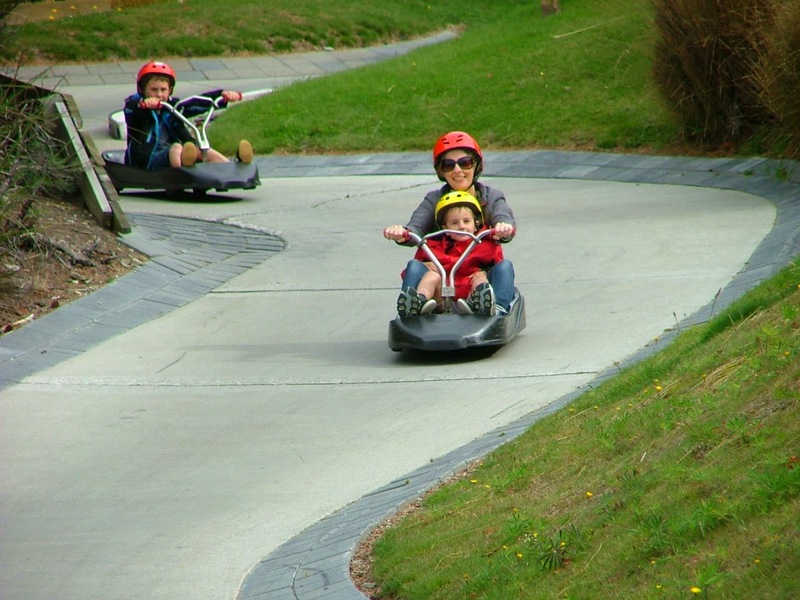 It's a simple enough concept to become a luge rider. Pull back to stop, let go a little to get moving and steer left to right. As simple as that. Simple enough that a 7.5 year old can become a pro in just a few twists and turns of the track. And with views like this to accompany the ride down, who could complain! 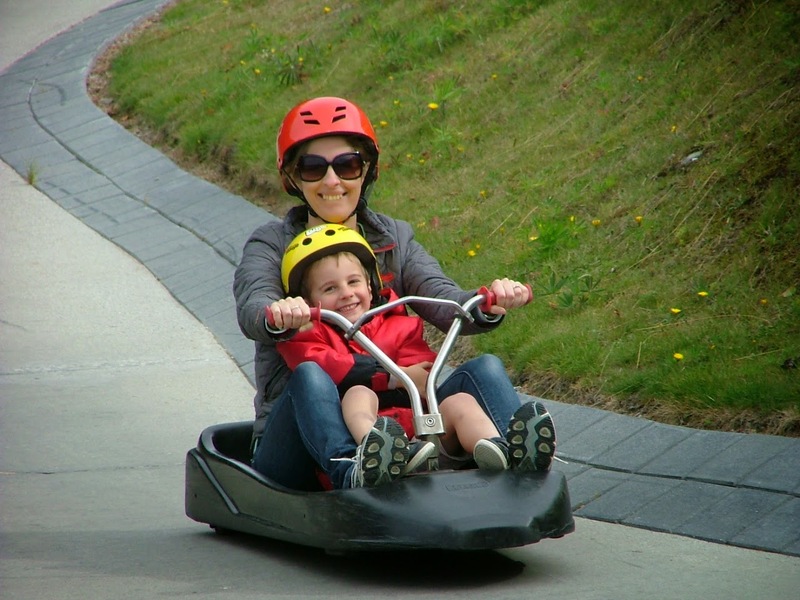 The one thing we couldn't seem to conquer however was the stubborn resistance of the little guy to ride the luge. No matter how much we cajoled, pleaded, coerced, bribed and threatened, he would not be moved. Even telling him it would be like real-life Mario Kart did not change his mind. That was until we figured out just before our very last ride that it wasn't actually riding the luge that was bothering him. It was the scary, high-off-the-ground open-air chairlift he had to catch to the top of the luge that was freaking him right out. Once Daddy offered to walk him up to the top of the luge, he was all for it. And loved every last minute of his one and only ride! I wish we'd discovered this fact a little sooner, but at least he did get to experience it! Then it was time to head back down into town for lunch and a wander around the lake front. The fudge at the Remarkable Sweet Shop tempted our tastebuds and lightened our wallet even though we'd only just had lunch. And down on the lakefront the light was being especially co-operative for photos. And there were autumn colours on the lakefront enough to satisfy my photographer's cravings. We found the best sprawling tree for climbing and jumping off and proceeded to do just that whilst Mark went back to collect the car parked some blocks away. It's a rare feat for me to get into a photo let alone be alone in a photo. Thanks to Poppa for the great capture, it's nice to be reminded that I am along for the ride on these trips - it's all too easy to get stuck behind the camera snapping merrily away and never make it into the shot! The boys soon gravitated towards the only flowing water in the vicinity. While Nana took in the lake views from a comfy branch. It was about at this point that we told the boys there was one more surprise activity to do for the day. On the drive out of town, I couldn't stop exclaiming over the changing colours. 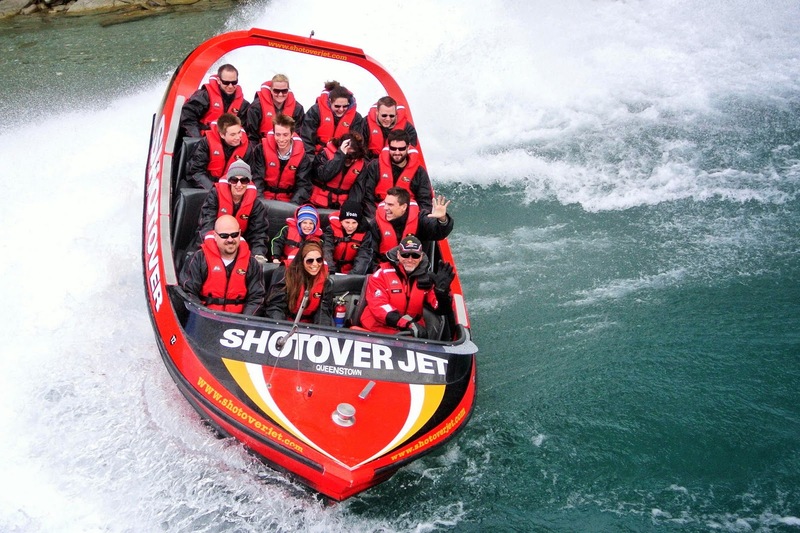 Even when we arrived at the Shotover Jet location, we didn't let the cat out of the bag, saying that we were just stopping there to have a look at the jet boat and admire the scenery before moving on. It wasn't until Mark gave Noah something to hold that the penny finally dropped. 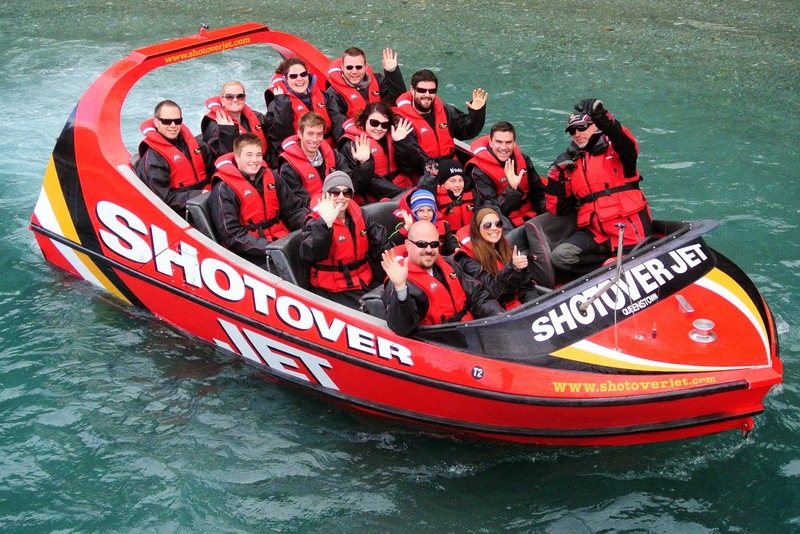 In the lead up to the trip, we hadn't actually been planning to go on the Shotover Jet but after receiving some birthday money and realising that it would be a long time before we'd be back again, and MORE importantly it was our BIRTHDAYS that day, we knew it just HAD to be done. There we are in the second row - I'm almost unrecognisable under the hat and sunglasses which I was glad of after I managed to sit in quite possibly the wettest seat in the boat. So much for telling Mark I didn't fancy getting too wet! 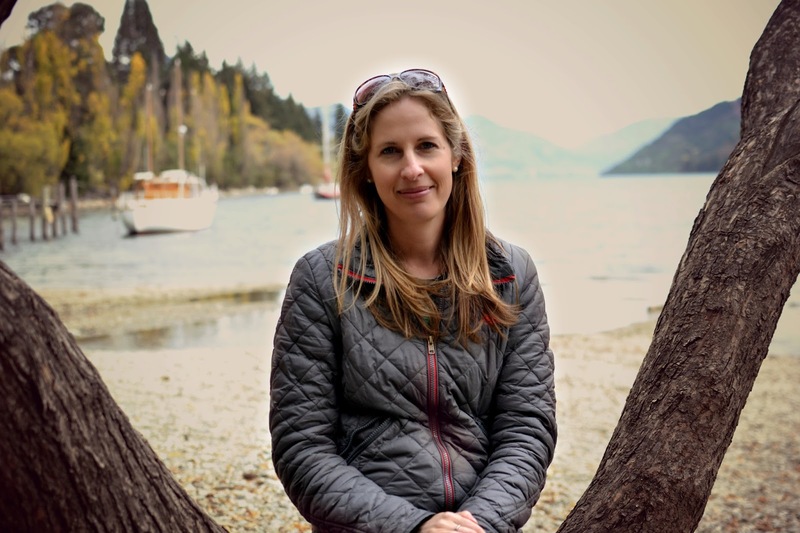 And wouldn't you know but those very seats are the same seats that Prince William and the Duchess sat in only three days later when they came to Queenstown and went on the same adventure. The experience was hugely exhilarating for us all - flying through narrow canyons at 90 km/hr when you're quite positive that any moment the boat is going to crash into the rocks, especially when the driver is DELIBERATELY driving as close to them as he can get. But the best bit were the 'spins' when the driver signalled with an upwards pointed finger turning in a circle and you knew to hold on for dear life because a 360 degree spin was coming. And after the excitement of the day, we returned back to the house watching the day fade in salmon hues on the Remarkable hills. It seemed hardly possible we had done so much in just a few short hours. 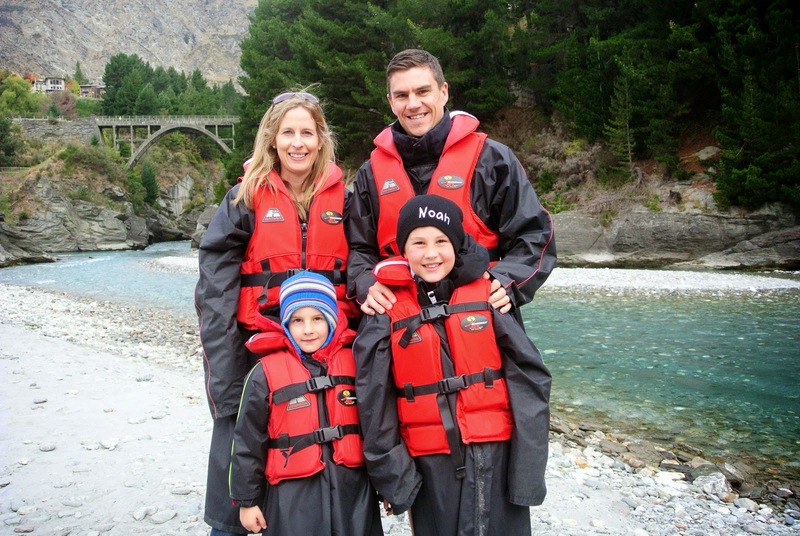 And as Mark pointed out - this would have to be at the top of the 'amazing shared birthday experiences' we've had over the past 15 years of sharing a birthday day and it will be pretty hard to ever beat this one for adrenalin and adventure!